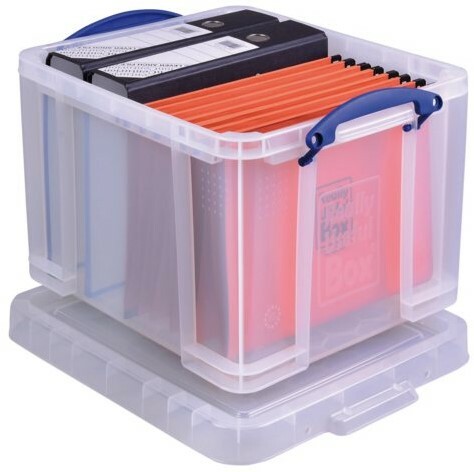 Opbergbox Really Useful 35 liter 480x390x310mm (lxbxh). Artikel omschrijving Opbergbox Really Useful 35 liter 480x390x310mm (lxbxh). Gewicht per stuk: 2100 gram. 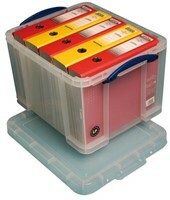 Specificaties Opbergbox Really Useful 35 liter 480x390x310mm (lxbxh). 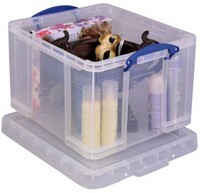 Accessoires Opbergbox Really Useful 35 liter 480x390x310mm (lxbxh). Onderstel t.b.v. 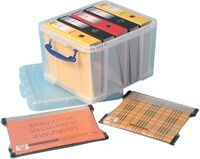 Really Useful opbergboxen 420x370mm (bxd). 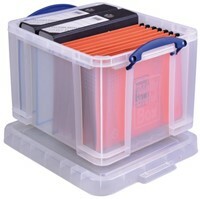 Deksel voor opbergbox Really Useful 390x480mm voor 18 + 35 liter. Panoramaringband Esselte 4-rings A4-25mm wit voorzien van 2 tassen. Afname per 10 stuks. Panoramaringband Esselte A4 4D-rings 20mm wit voorzien van 2 tassen. Afname per 10 stuks. 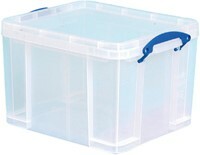 Opbergbox Really Useful 19 liter 395x255x290mm (lxbxh). Stel een vraag over Opbergbox Really Useful 35 liter 480x390x310mm (lxbxh).